We had an productive trip to DC this past Wednesday. Everyone did a great job at getting our point across. While they didn’t commit to supporting us, they did ask a lot of questions and didn’t shut us down. We were only suppose to meet for 30 minutes and we we’re with them for almost an hour. I would like to give a special thanks to Noelle Pryor, Duane Lassiter, and Mike Provost for making the trip with me. You guys we’re awesome! Thank you to Tony Abboud and Cindy Brown from the VTA for making this meeting happen. Eveyone please continue with your calls to Senator Kaine’s and Senator Warners offices, asking for thier support on keeping the wording from Cole/Bishop in the 2017 Budget Bill. • If the predicate date for vapor products is not modernized, nearly all vapor products will be wiped off the market in 2018. Many businesses will start closing down this year. 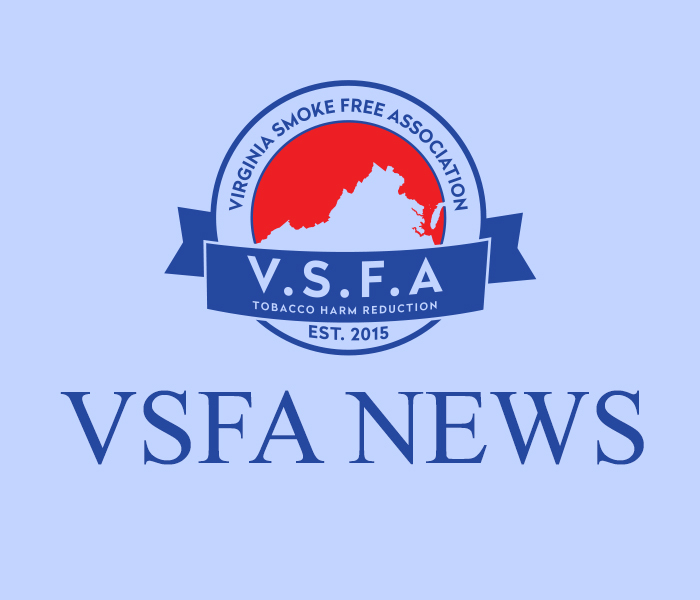 • The FDA will still have the authority to regulate vapor products and common sense regulations like no sales or marketing to minors will remain unchanged. • If you have time, briefly, tell your story about how vaping has helped you.